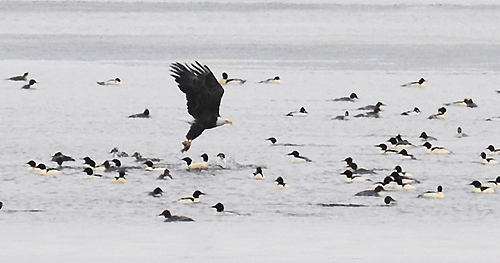 About 20 Bald Eagles were working the Lake Minnetonka water being kept open by a large flock of Common Mergansers last week. 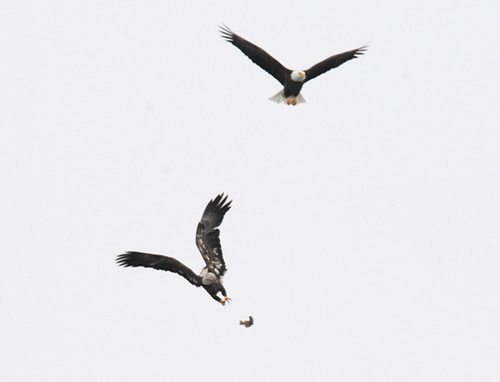 The eagles are fishing, and providing a bit of a show as fishless eagles tried to steal from eagles that had been more fortunate. In the first photo you can see a fish in the talons of the lower bird. Then, trouble. 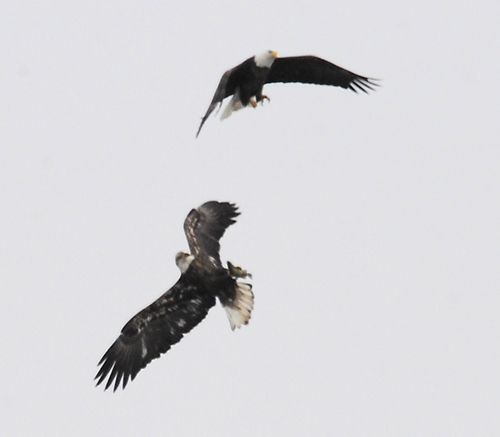 Watching the eagles patrol the water, it’s easy to think they are hunting birds. 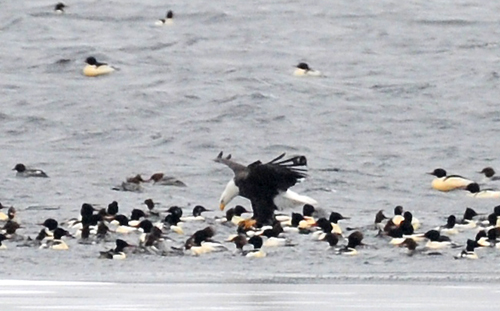 Eagles will take ill or injured waterfowl. In this case, watched for several hours over two days, it was exclusively a fishing trip. The mergansers must have known that. They showed no concern.